Watch This Style: Karl Lagerfeld Directs “The Tale Of A Fairy” For Chanel’s 2012 Cruise Collection! There have been quite a few videos coming out lately from big designers like Givenchy, Marni for H&M, & Christian Siriano. The latest & perhaps most beautiful to join the arsenal of fashionable videos is the Karl Lagerfeld-directed short film “The Tale of a Fairy,” for Chanel‘s 2012 Cruise collection. Perhaps the dialogue & story aren’t the most cinematically impressive, but you can’t deny that it’s a visually exciting with sleek, clean line & is a fitting, yet classic homage to the original icon of the fabulous French brand, Coco Chanel. I personally love the layered pearl necklaces, menswear inspiration, oversized sunglasses, & black & white ensembles. Who doesn’t??? For more stylish videos, click to check out the other Watch This Style posts! Happy Styling! 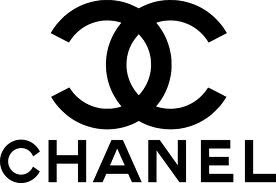 This entry was posted in Style Darling Daily, Watch This Style and tagged Chanel, Coco Chanel, Cruise 2012, Karl Lagerfeld, The Tale of a Fairy. Bookmark the permalink. ← Runway Rundown: Lea Michele Models for Candie’s Newest Ad Campaign!